Starting with the obvious, having the cast from RiffTrax/MST3K voice an audiobook makes it an automatic win. The story itself reminded me a lot of Daniel Pinkwater, especially Slaves of Spiegel. The humor is absurd and farcical, so if you like subtlety this is not the book for you. But, if you do like silly humor and ridiculous characters you are in the right place. I enjoyed this book quite a bit. The subject and presentation is interesting. It tells the story of the authors travels through Indonesia. 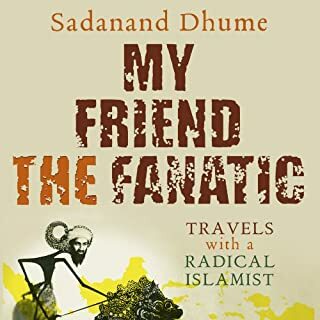 The "fanatic " he travels with is an interesting fellow and provides a novel perspective on Islamization. The book itself feels a bit disjointed but that didn't really bother me because the subject was fascinating. 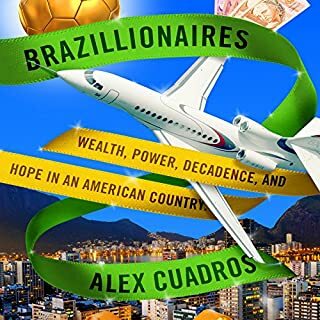 When Bloomberg News invited the young American journalist Alex Cuadros to report on Brazil's emerging class of billionaires at the height of the historic Brazilian boom, he was poised to cover two of the biggest business stories of our time: how the giants of the developing world were triumphantly taking their place at the center of global capitalism and how wealth inequality was changing societies everywhere. If you are looking for an explanation of what happened to Brazil's economy on the characters involved in it then this is your book! It's framed around the rise and fall of Eike but gives a lot of perspective both on the country and the ultra rich class. 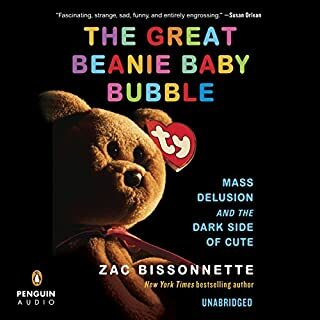 There has never been a craze like Beanie Babies. The $5 beanbag animals with names like Seaweed the Otter and Gigi the Poodle drove millions of Americans into a greed-fueled frenzy as they chased the rarest Beanie Babies, whose values escalated weekly in the late 1990s. A single Beanie Baby sold for $10,000, and on eBay the animals comprised 10 percent of all sales. In an odd way this book feels like a corollary to Steve Jobs. Two different kinds of flawed geniuses one who built a brand to last and one who built a flash in the pan phenomenon. Narration is stellar and the topic is interesting. What more do you want? 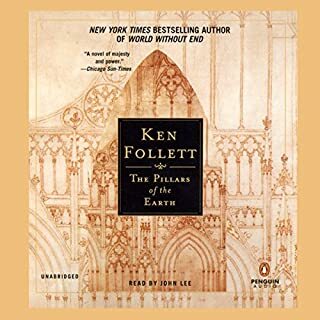 Would you consider the audio edition of The Alchemist to be better than the print version? Yes, Jeremy Iron's narration is sublime. The story itself being a fable comes to life when told to you. 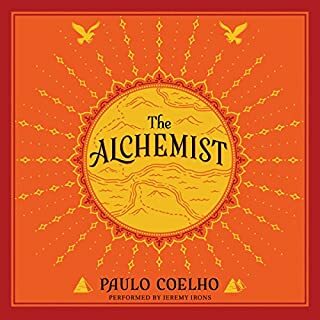 I would consider this the definitive version of The Alchemist. The pacing was just outstanding. Never preachy or slow the story just flows. Who was the most memorable character of The Alchemist and why? Santiago is a perfectly realized character. 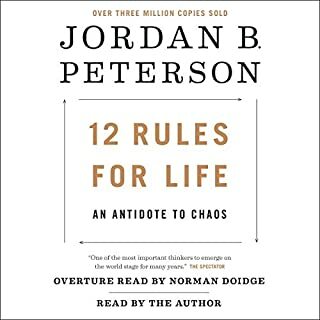 A perfect audiobook, it's as simple as that. Oh, how I wanted to love this book! Everything about the cathedral and the setting was wonderfully realized. The day to day struggles were engaging and well described. Unfortunately, the actual plot revolved around characters and situations that felt like they were pulled directly from a Mexican soap opera. The story is filled with contrived situation after contrived situation that violently ejected me from the world of the book. By the final part when we suddenly had a cameo from Thomas Beckett I was about ready to strangle the author. As historical fiction epics go, this one is very much middle of the road, distinguished only by the strength of the setting. 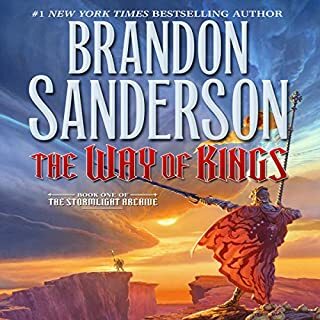 What Brandon Sanderson does better than any other fantasy author is combining immense scale with amazingly intimate character arcs. As much as I love The Wheel of Time one of its great failings is that epic set pieces come and go in a couple of pages. The Way of Kings revels in its set pieces, and they are magnificent! That's not to say the characters suffer in favor of battle scenes like a Joe Abercrombie novel. The three character arcs in this novel are some of the most satisfying I have ever read. Combine that with a beautifully realized world that unfolds wonderfully throughout the book and you have one of the best fantasy novels ever written. The narration is very well done. At first I was concerned by the narrator's slow pace but it flows well with the novel and somehow makes it feel like you are being told the story rather than read to. 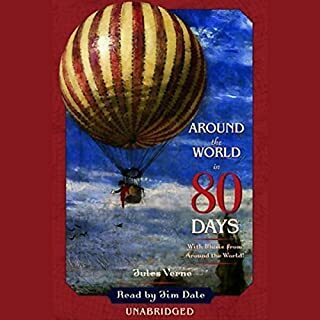 I tried to read around the world in 80 days twice and both times I found it boring and lifeless. This version though, I was caught up in the epic journey and incredible scope. 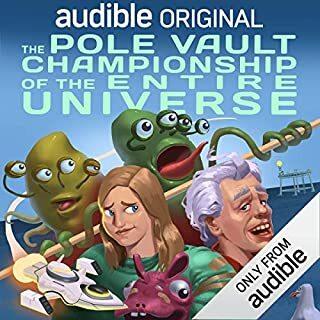 Jim Dale is a flawless narrator and the sound effects and music make this one of the best audiobooks I have ever heard!